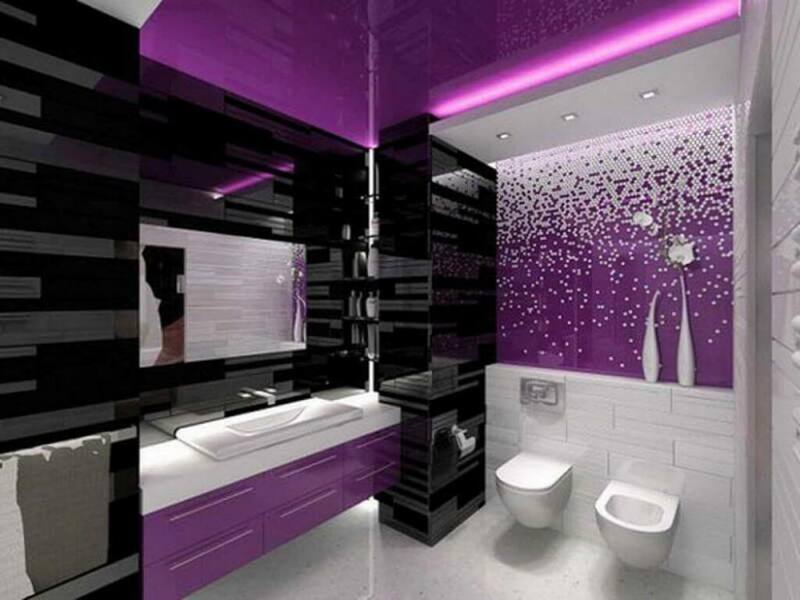 How to design Bathroom by latest hot trends? Posted on: 15 March/ Posted by: Alice Pearl/ One Comment. Bath is one of the most important home region, a place where design, a feeling of relaxation and well-being must be an in a perfect fit. Designers each year present new ideas and trends to create a comfortable, functional and sustainable bathroom. When it comes to renovations of apartments, the owners often choose bathrooms before the kitchen, mainly due to lower costs required, new atmosphere and feeling in this important area. 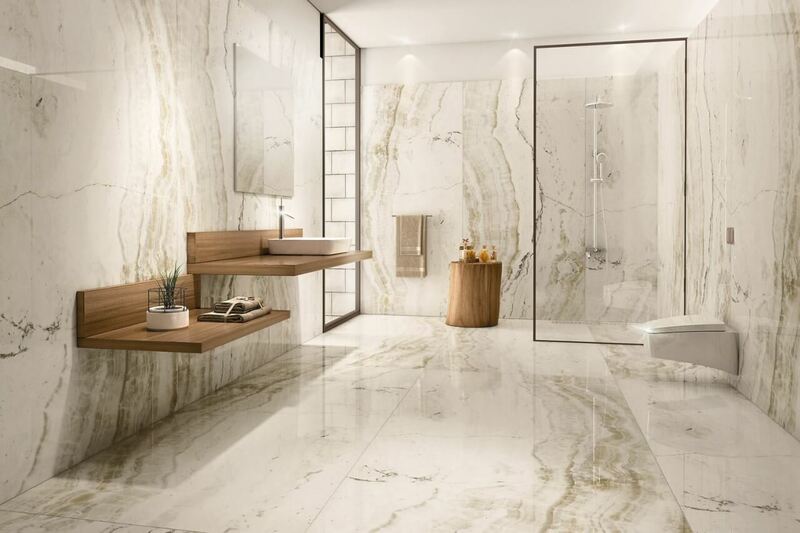 If you consider the design of your bathroom, for renovations, or for the new home, we suggest new trends announced for the coming year. Clean lines and twisted curves define new directions, dominated by the rigor and simplicity, but in a relaxing, pleasant sense. 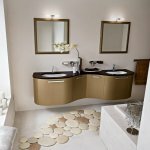 Forms of ceramics, sanitary ware, furniture composition for bathroom… everything comes to the forefront, making the perfection of geometry. 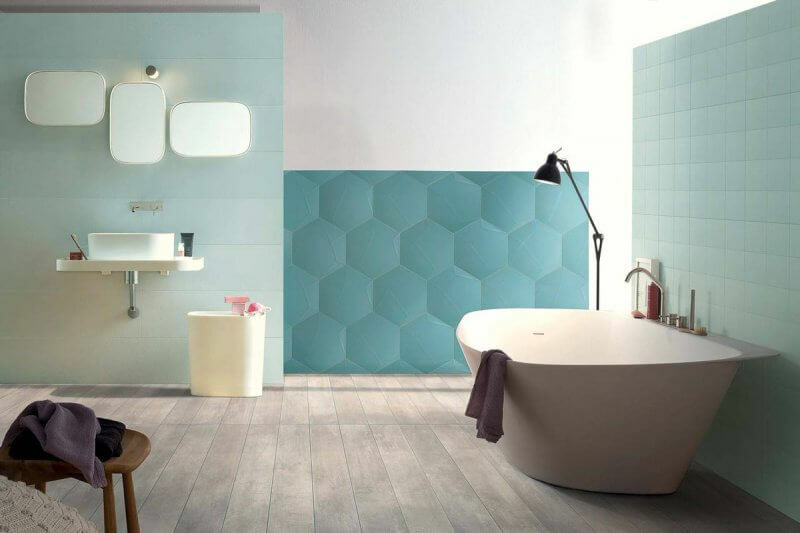 Manufacturers launch the new line of tiles, mainly in hexagonal shapes or glass mosaics that look great mounted on a wall, corner or niche. In this way, geometry and well-chosen materials evoke a crystal reflection. 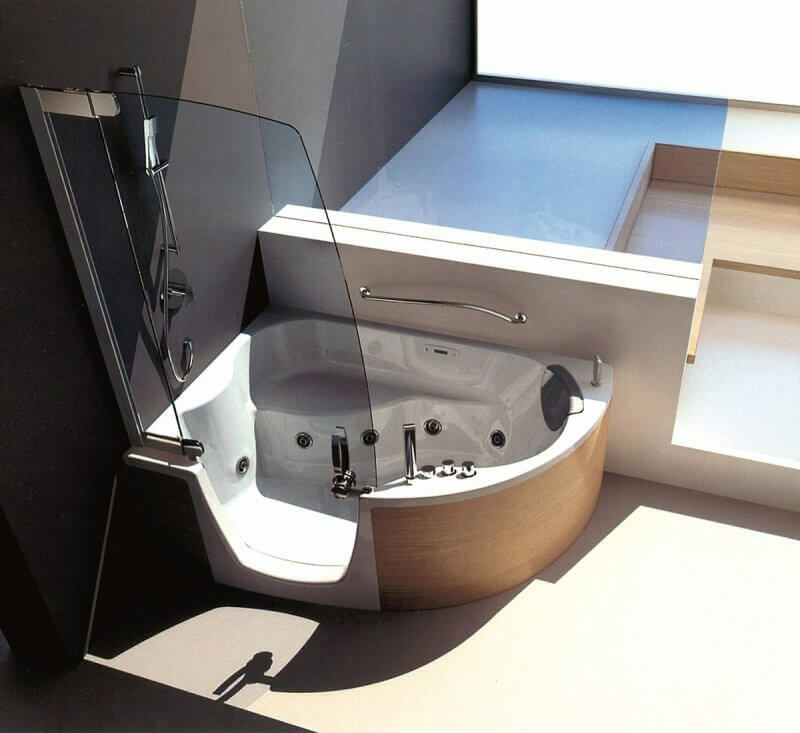 In addition to ceramics, great attention is given to the form of the sink, battery, and even tub. We see more and more of irregular shapes. 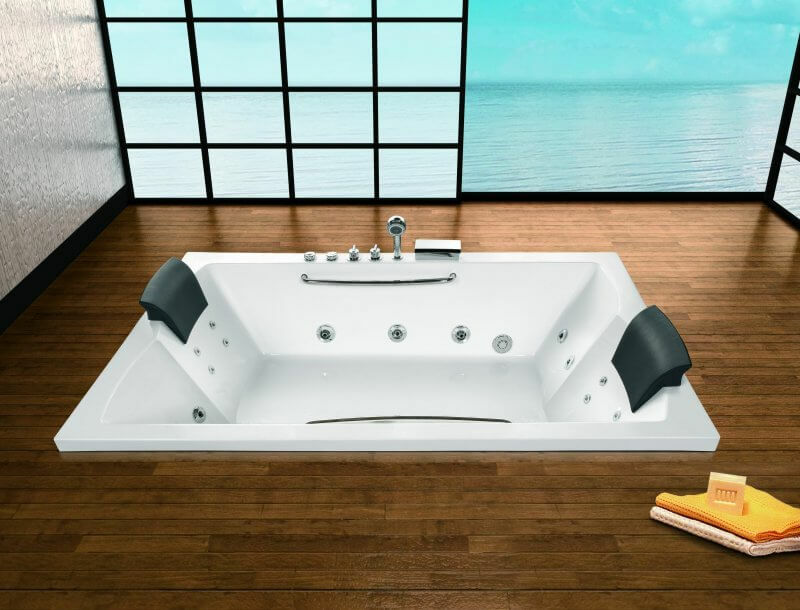 Besides the current attractive walk-in showers, tubs are in trend again so as rounded and slightly asymmetrical shape, which simply invites you to relax. Their non-standard forms offer a modern touch of bathroom design. However, if you prefer a shower, you can make a seating area. 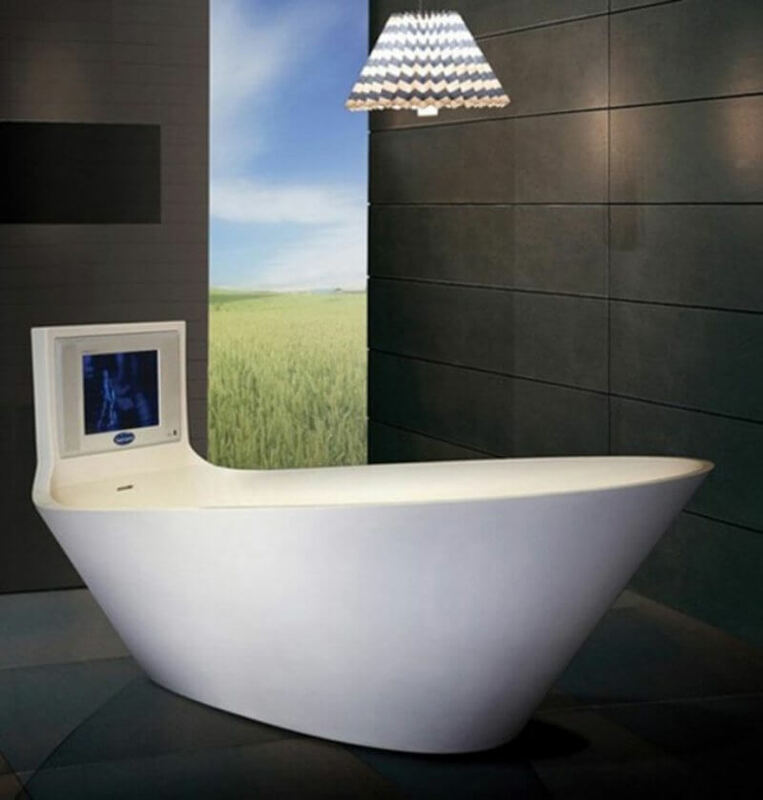 That will give your bathroom a sophisticated and glamorous look and you can enjoy in it. 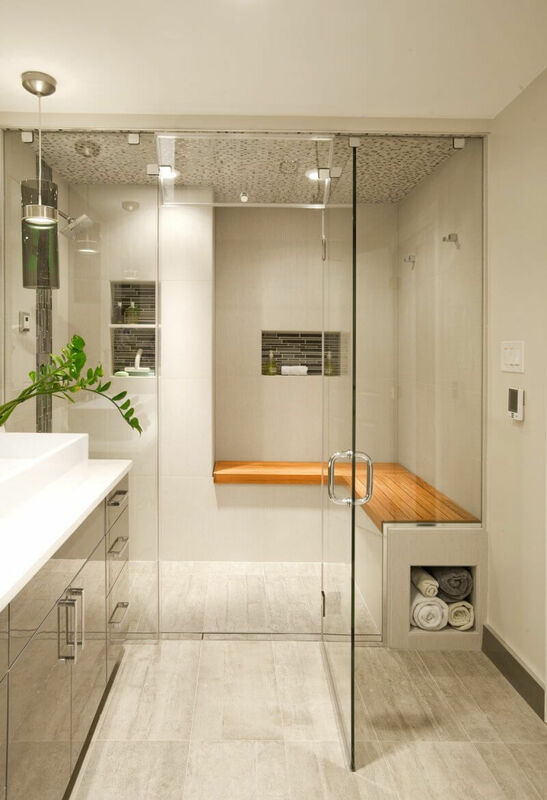 If you are willing to devote to creating built-in shower seats, add any bench or seat made of teak, or any other waterproof material. 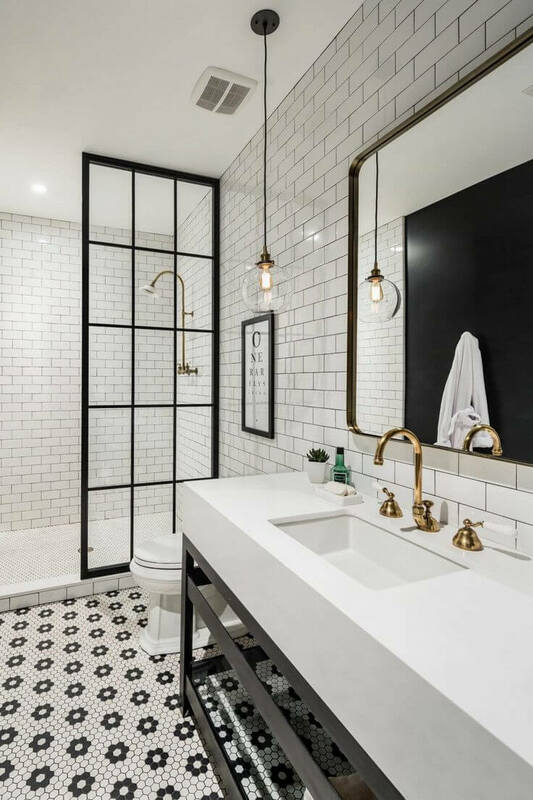 Original, but also the elegant solution is to put the frame in black or gray profile to shower, especially in bathrooms dominated by white and black color. 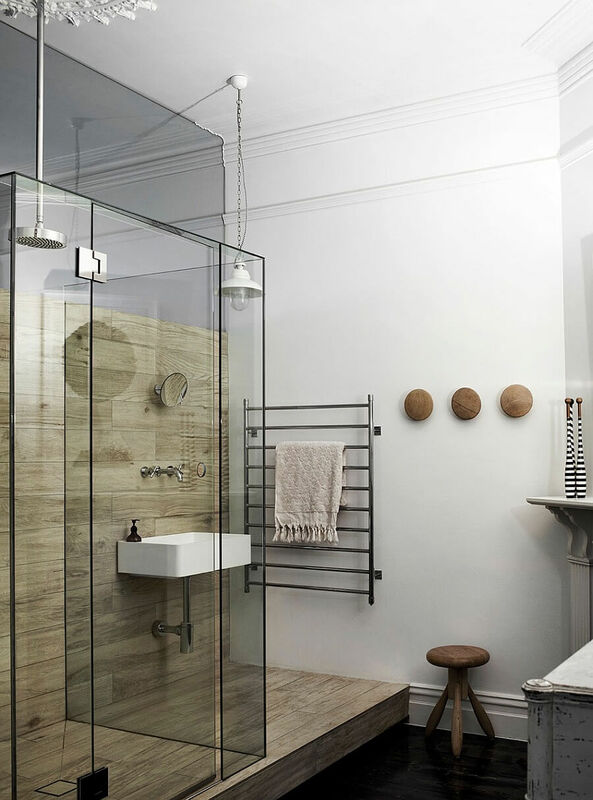 This idea fits perfectly into the bathroom of the industrial style, which is quite popular in recent years. 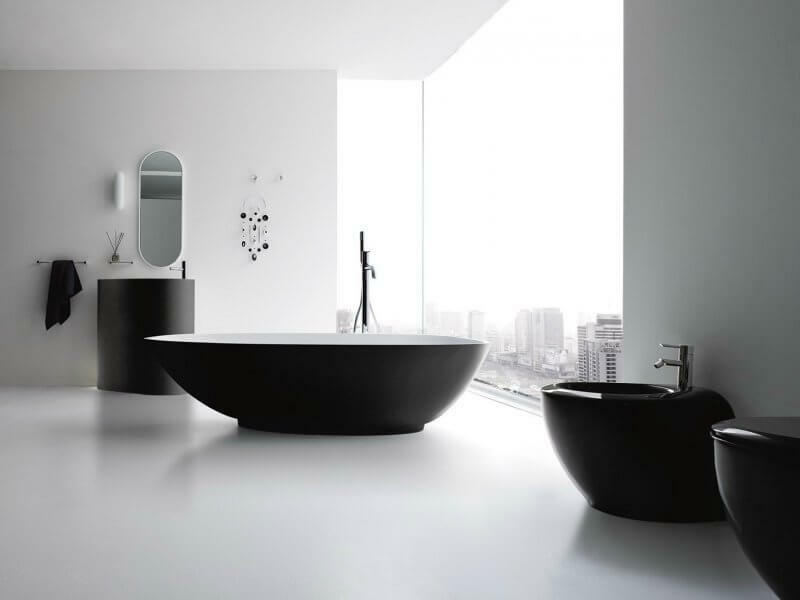 The cold and monotonous atmosphere of this style bathroom which is obtained by the combination of white, black and gray color can be softened and keep warm by using the wood. Rough piece of the massif can look good as a console sink, with just a few accessories on it. 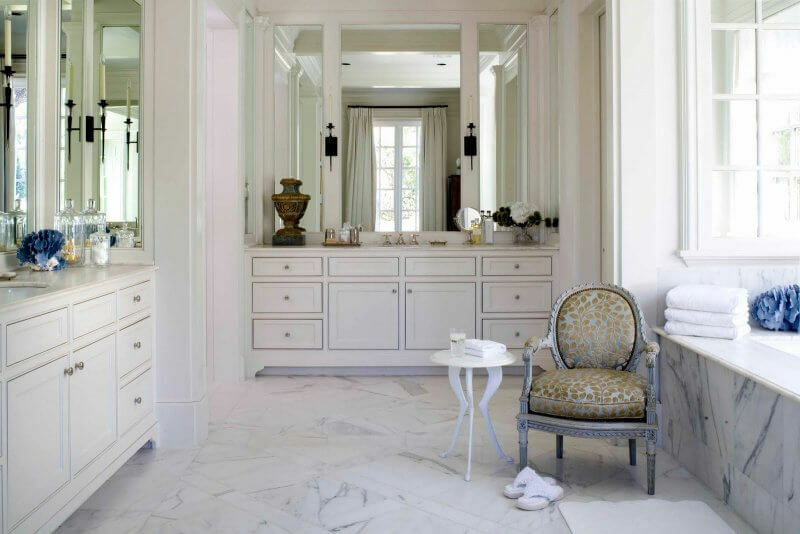 Of course, this bathroom can’t look great without occasional original old, vintage furniture object, such as an old stool, old ladder in a role of shelves or, if there is space vintage chair or a tabouret. 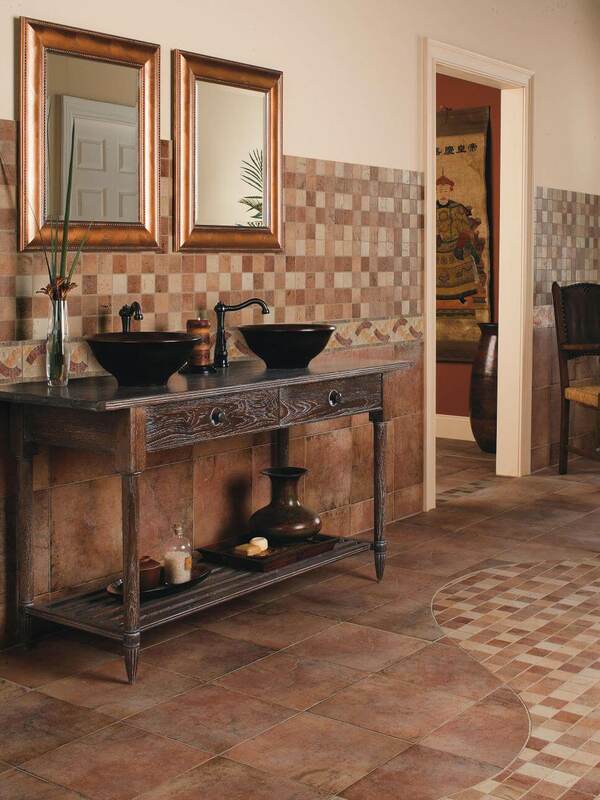 These elements give the impression of bathrooms from the last century. 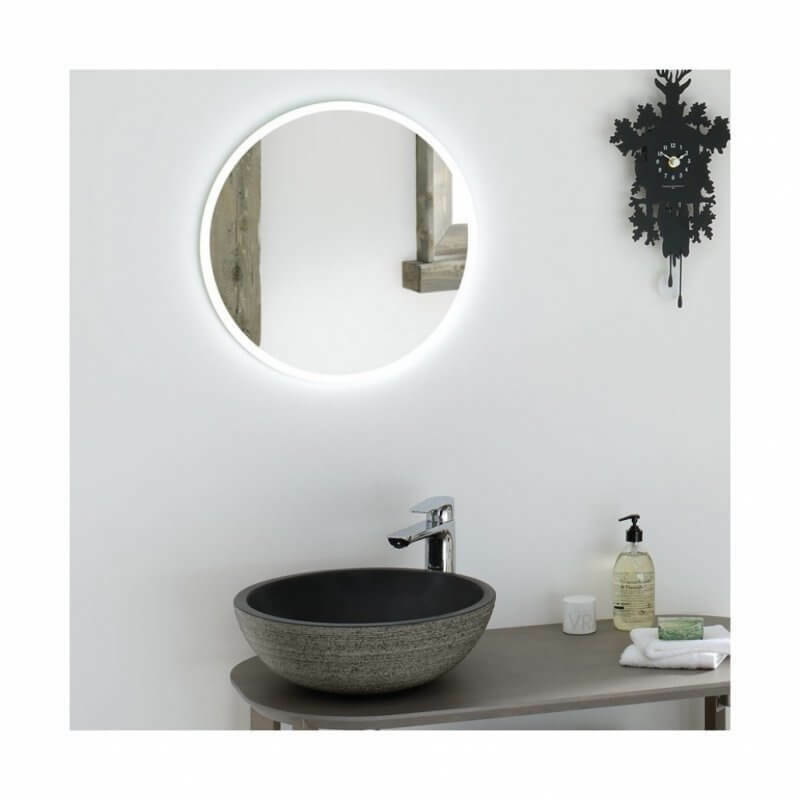 For this style would be preferable to use a simple, reduced mirrors. 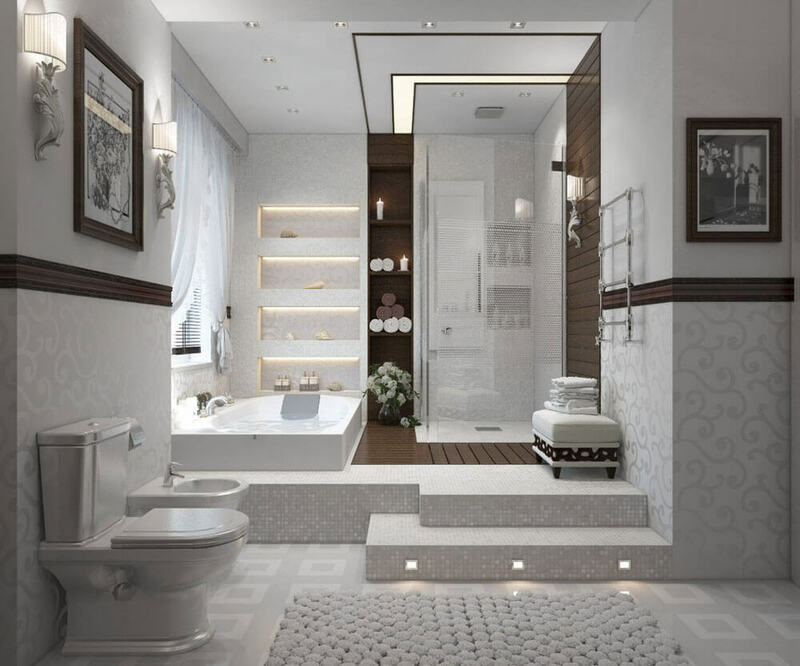 Of course, stylish bathroom with a minimalist look, with clean lines and comfort of 5 stars, do not get out of fashion. 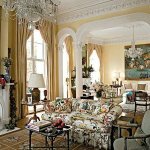 In such an environment of strict and lightweight form, the most important are the lighting, which must be pleasant, subtle and hidden, if possible, because they give a real sense of intimacy. 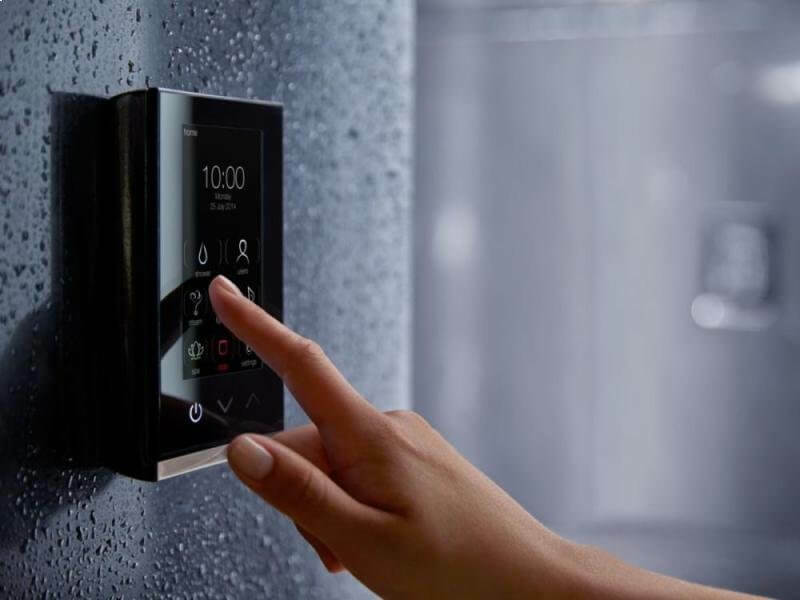 For those who can’t live without the latest technology at your fingertips, literally, everything can be available at a single click, even in the bathroom. 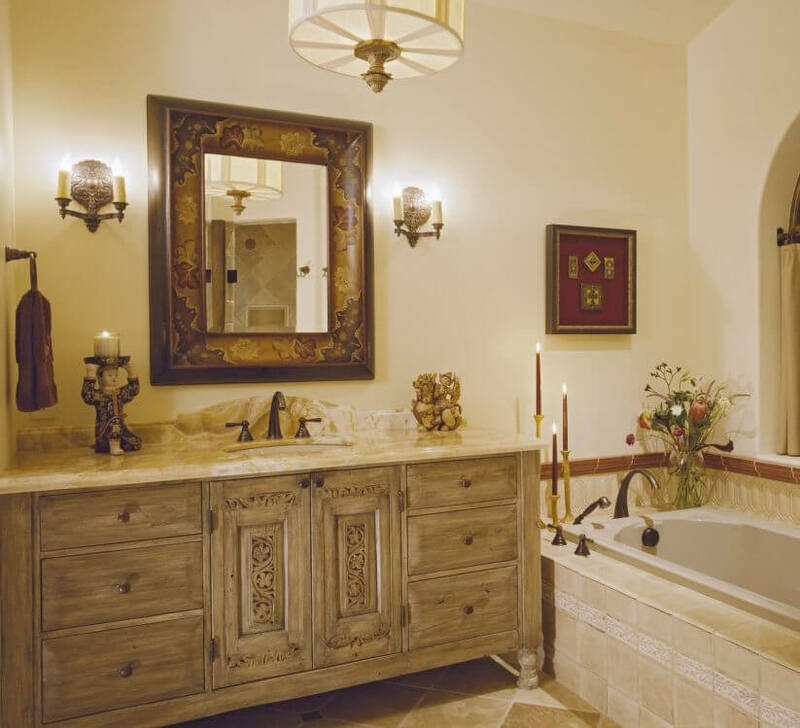 People are increasingly showing their dependence on television by putting a television in every room, even the bathroom. 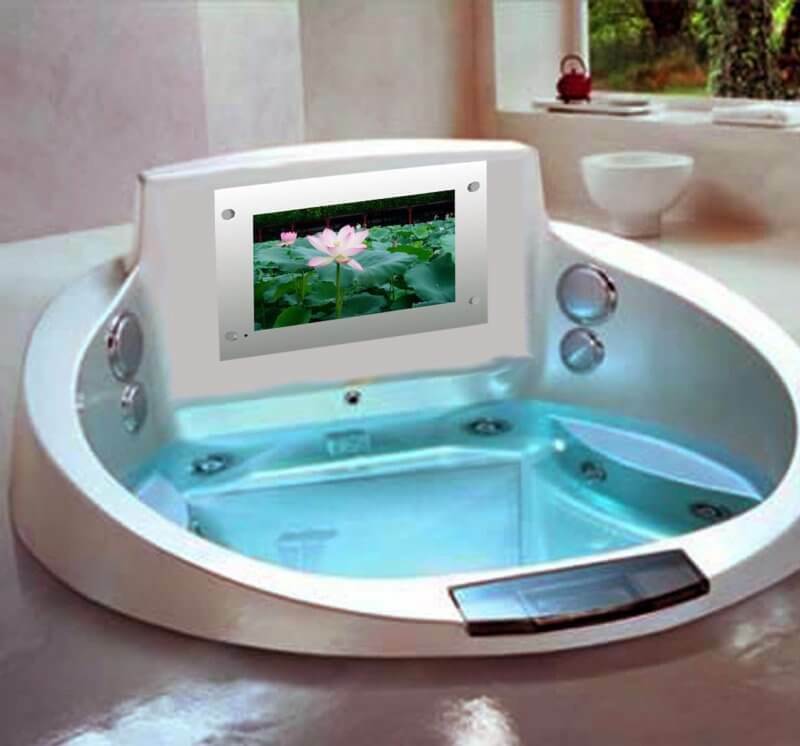 Although the TV in the bathroom does not sound safe, they began to be installed waterproof LCD screens. 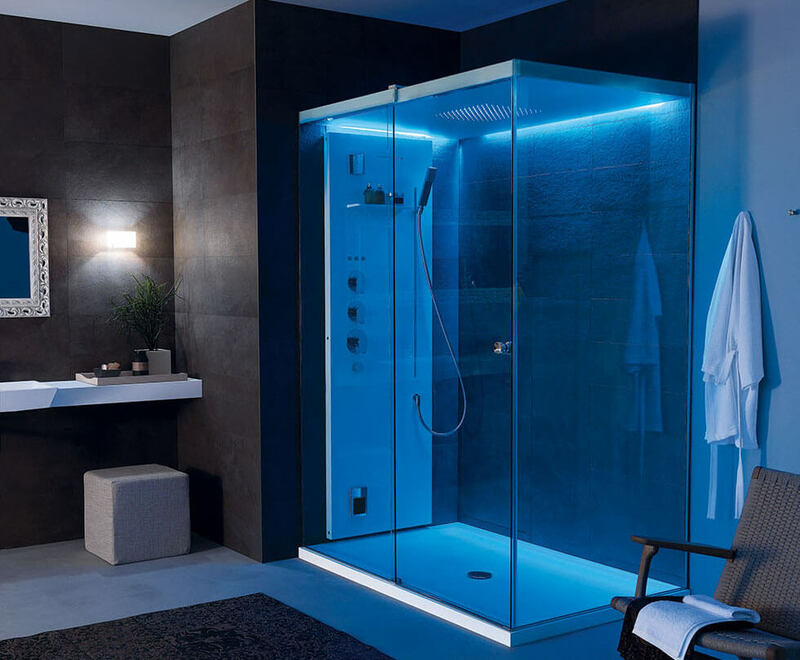 This environment can be called a bathroom of your dreams because it has a fully integrated electronics, yet simple to use. An impressive built-in sound system that can be controlled via smartphone or audio device and besides the lowered ceiling, you can also hide it in the underfloor heating. 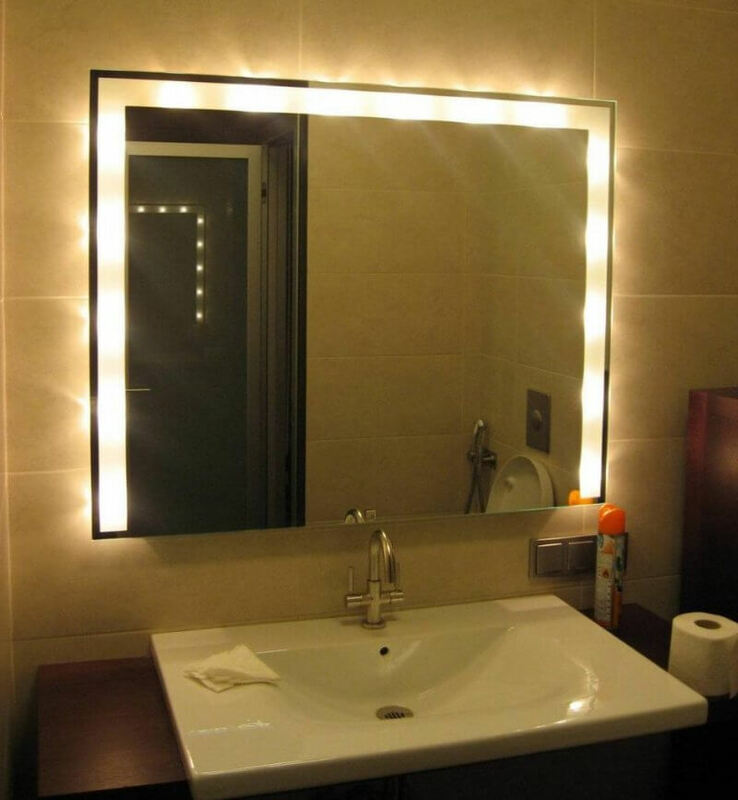 If all is connected with the LED display panels, with which you can control the water, music, steam and light, you get a bathroom with a real sense of pleasure. 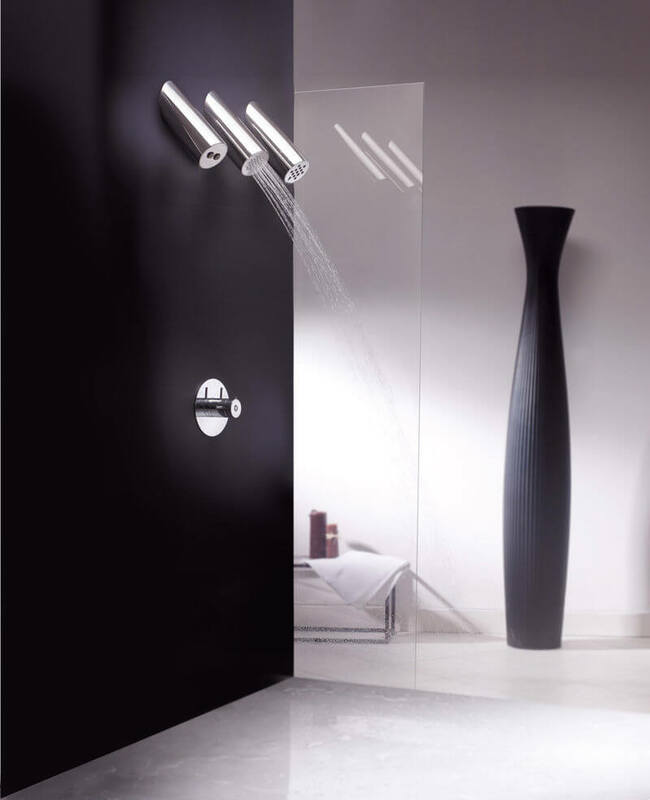 The shower with the caption Light Shower Pleasure, can you provide the name of the manufacturer?